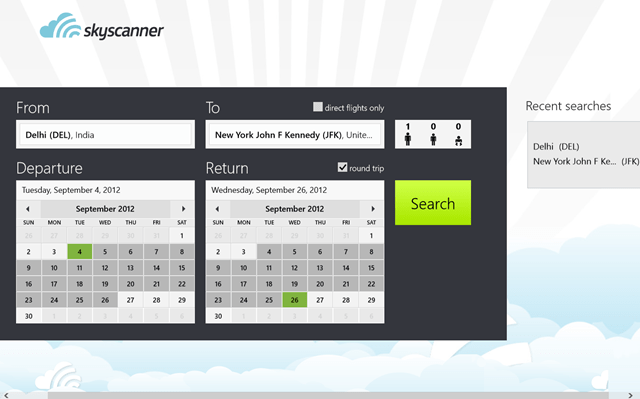 Skyscanner is a free Windows 8 flight app which will help you to purchase cheap and great deals on air tickets. This fine app for Windows 8 provides you the liberty to browse through various flights so that you can reach your desired destination at your own convenience. You can get easy and cheap air tickets which will don’t put much burden on your pocket. Just enter your origin and destination point and you can simply get though all the flights with their prices and other sort of information. The interface of this Windows 8 flight app is quite simple and sophisticated which will give you an opportunity to decide own flight according to your convenience. 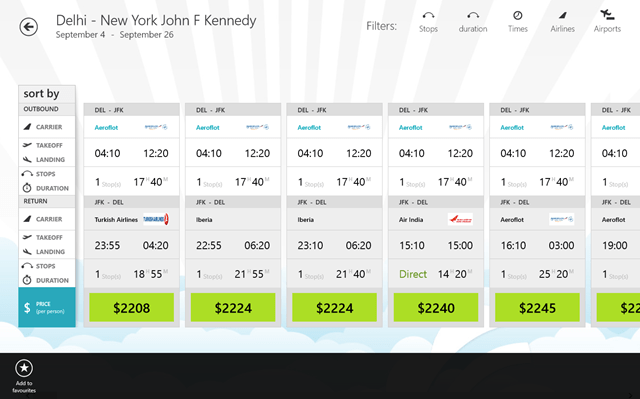 Just click on this amazing app for Windows 8 and you don’t have to get through any airlines agency or ant other third-party for arranging the deal for you. You can do all this by your own. You can see the interface here at this Windows 8 app helps you put the origin and destination and select the departure and return date which will get you schedule for your flights. Just hit the Search button and you can get all the related flights with its details. Here, you can check all the related details of your flight according to the number of persons you have entered earlier. It will tell you the appropriate price of the flights with the departure and return flights with their regular stoppage and duration of flight. You can simply get the landing details and also the timings. If you really want to buy your ticket you don’t have to go to any third-party, just click on the flight and you can have this screen where you can book your tickets and you are done with all the procedure of ticket booking. 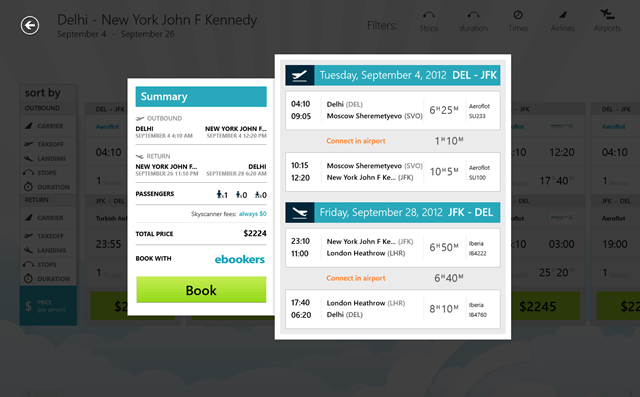 Just install this amazing Windows 8 flight app on your Windows 8 desktop and book your air ticket to travel through the world. Learn how to search an app in Windows 8 store.